I was eagerly anticipating the release of the final instalment from Rihanna's collaboration with MAC, the RiRi hearts MAC Holiday collection and it is now finally available in stores. 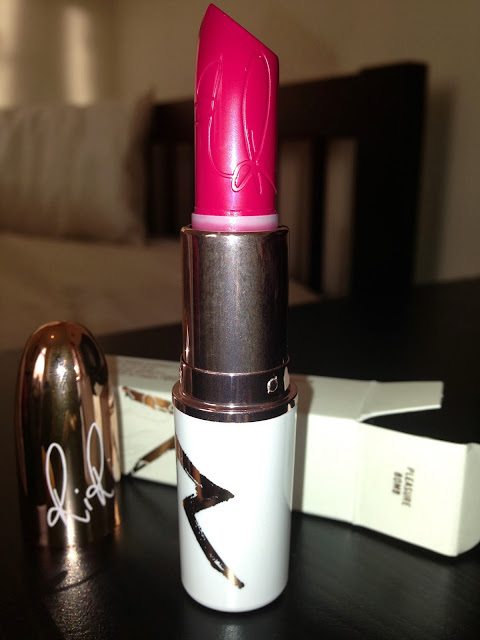 For me, the main standout from the collection was the Pleasure Bomb lipstick followed by the Bad Gal RiRi lipstick so there's no guessing what I ended getting from the collection. My Pleasure Bomb came through in the post today so I thought I'd snap a few photos and share it with you guys. 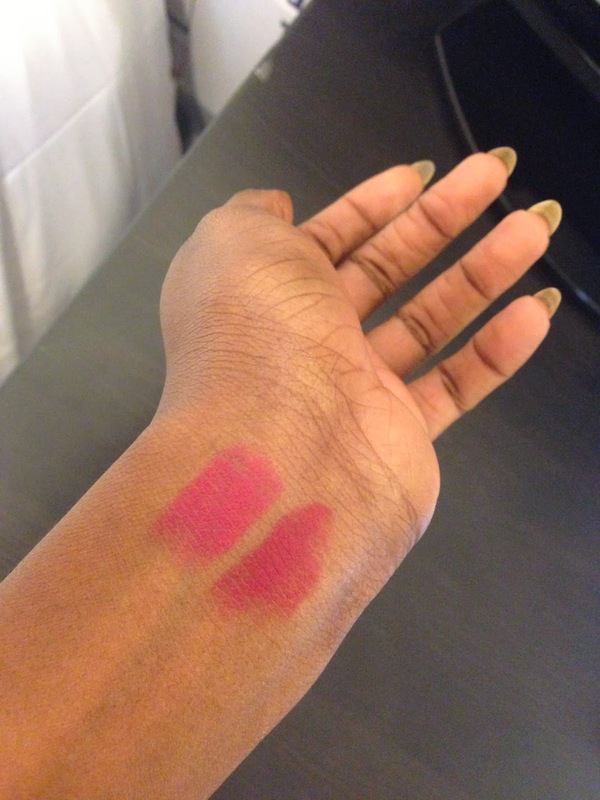 Upon opening it, I thought it looked like a more vibrant shade of Heaux so I swatched both lipsticks on my wrist to see the comparison and you can see the similarity or lack of in the photo above. 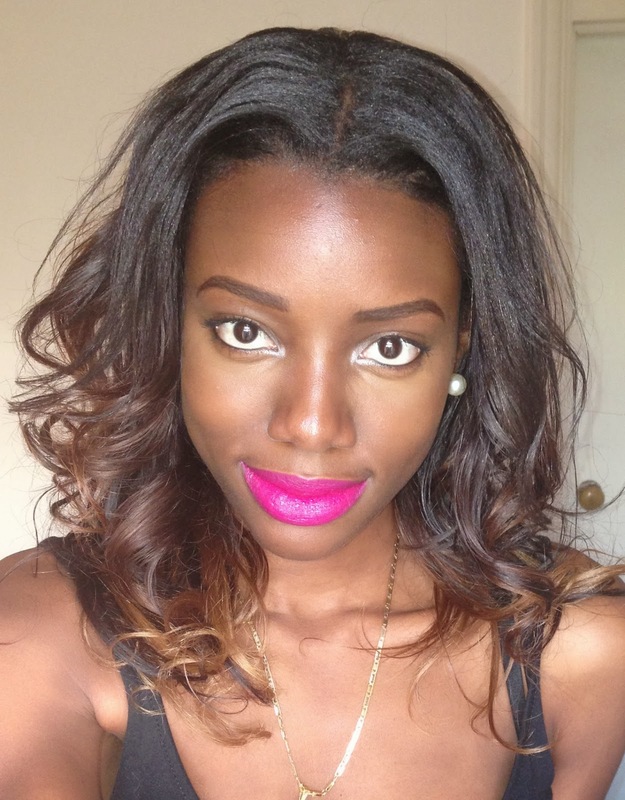 Pleasure Bomb has more of a pink undertone whilst Heaux has a red undertone. I have to say Pleasure Bomb has a far more creamy texture to it than the average matte lipstick and it is long lasting on the lips.